Cosmeto Hair Oil is a powerful blend of natural and herbal oils. 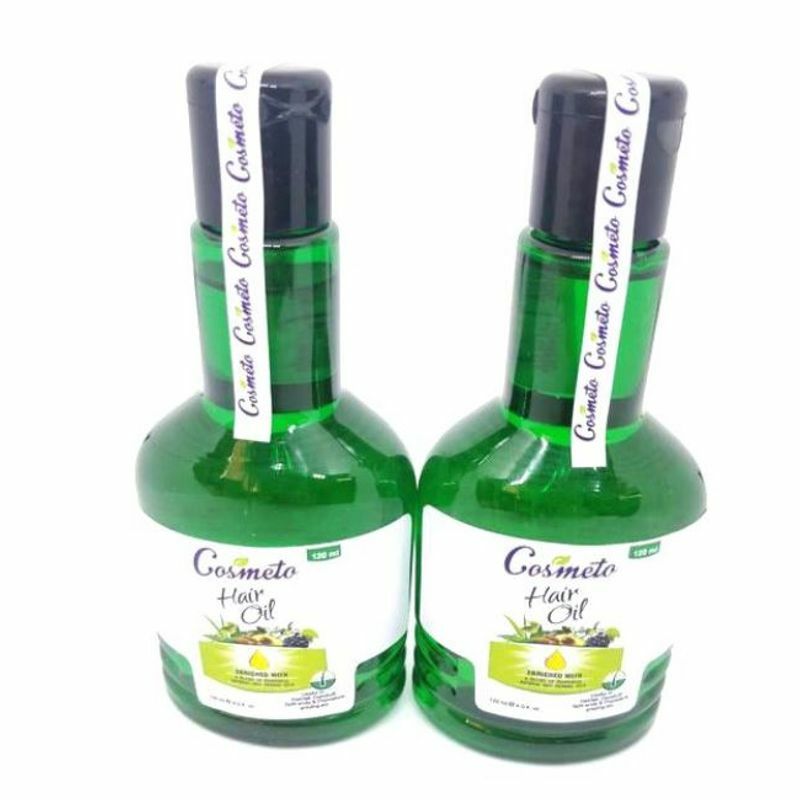 Cosmeto hair oil is useful in preventing hair fall, dandruff, dry hair, split ends, premature greying of hair and strengthening of hair roots. It provides complete nourishment to your hair and make them smoother and stronger. It is enriched with Aloe Vera, Jojoba Oil beneficial for minor skin irritations, minor burns, sunburn, skin irritations, minor cuts, insect bites and other conditions. Butylated Hydroxytoluene effectively helps for Herpes while Grape Seed Extract, Vitamin E is used for cardiovascular conditions, eye diseases related to diabetes, heart attack, chest pain, leg pain due to blocked arteries and high blood pressure. Additional Information: Tosc International Pvt. Ltd. is an organization engaged in the manufacturing and exporting of premium quality medicines, Nutraceuticals, Cosmeceuticals, Food Products and other Pharmaceutical Products. The company has a team of experts committed to adding value of their professional services to the pharmaceutical sector and expediting the process of Healthcare delivery.